Fall season is a time for family, great meals, and holiday cheer. However, for many, it is also a time of severe allergies. There are several reasons why your allergies may get worse in the fall. For starters, the damp air may result in more mold growth. Mold may be found in fallen leaves outside, and could attach to your clothes as you come in. Some mold can even grow on your Christmas tree and become part of the air inside your own home. To help prevent this, it may be a good idea to hose off your Christmas tree before you bring it inside, and to take off your outer layer of clothing when you come inside after doing yard work. Mold isn’t your only problem. As you pull out those winter jackets and blankets, you may be exposed to more dust mites as well. 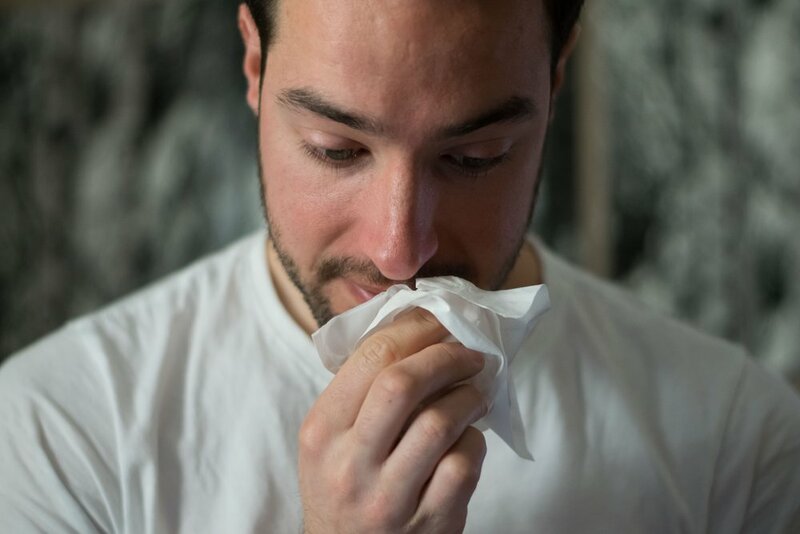 Dust mites are a common source of allergies. To limit your exposure, you might want to wash those winter clothes as soon as you take them out of storage, and clean your house regularly. When you go outside, protective accessories, such as a hat or sunglasses, can help keep you safe from common irritants. This can help protect you from itchy red eyes, or from bringing home extra allergens in your hair. However, it is still important to wash your hands regularly and avoid areas with high pollen or mold if possible. Also, it might be helpful to postpone going outside until later in the day. Pollen count tends to be highest in the early morning. If you do get exposed to allergies, it’s important to be prepared. Having allergy medication on hand can help you combat your symptoms and continue on with your day. Or, if allergies continue to be a persistent problem, consider salt therapy. The salt room can help to widen the airways of your respiratory tract, thus providing relief from allergies. Not only will salt therapy help you feel better immediately, it can also prevent frequent recurrences of your allergy symptoms. With salt therapy, you can breathe easy, even during the peak of allergy season.